Kiss me, I'm petroleum-free! A gentle dollop of honey is gently blended with a dash of cooling eucalyptus essential oil for the perfect marriage to create a soothing-relief formula. This 100% natural lip butter provides the nourishing moisture dry lips need to survive in harsh weather conditions. 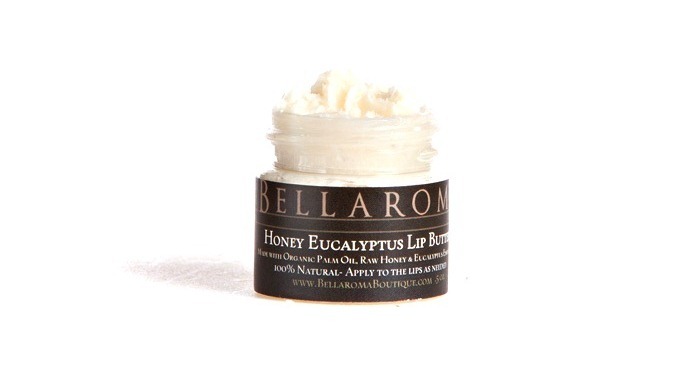 ALSO TRY OUR: "Potted Honey Lip Butter"! Warning: Due to this product being 100% all-natural, it will melt in hot weather conditions. Please store in a cool place to prevent the balm from melting. If by chance your lip butter does melt in transit or in your purse on a warm day, just pop it in the fridge until it becomes a solid again. No worries!